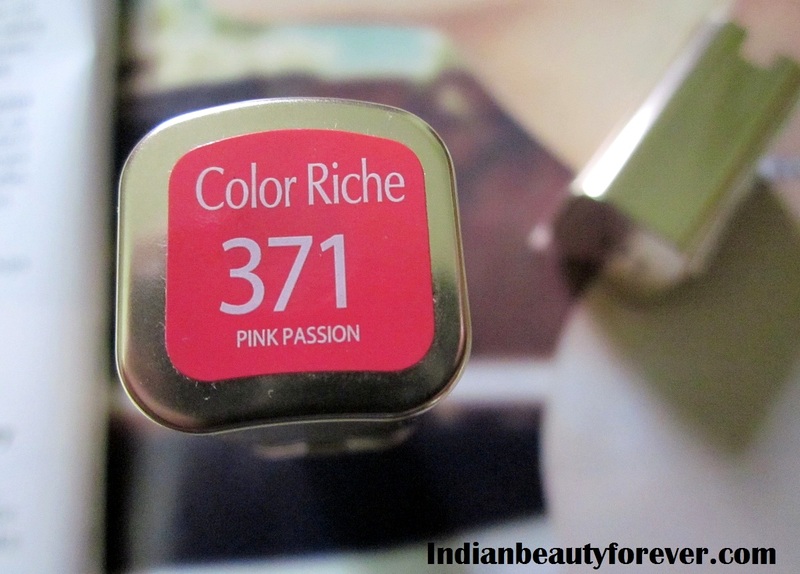 You may be aware that along with the L’Or collection, we got this L’Oreal color Riche lipstick in Pink passion too,which was also a part of their sunset collection and it’s my first one from this range actually two now, as I got fever brown as well. 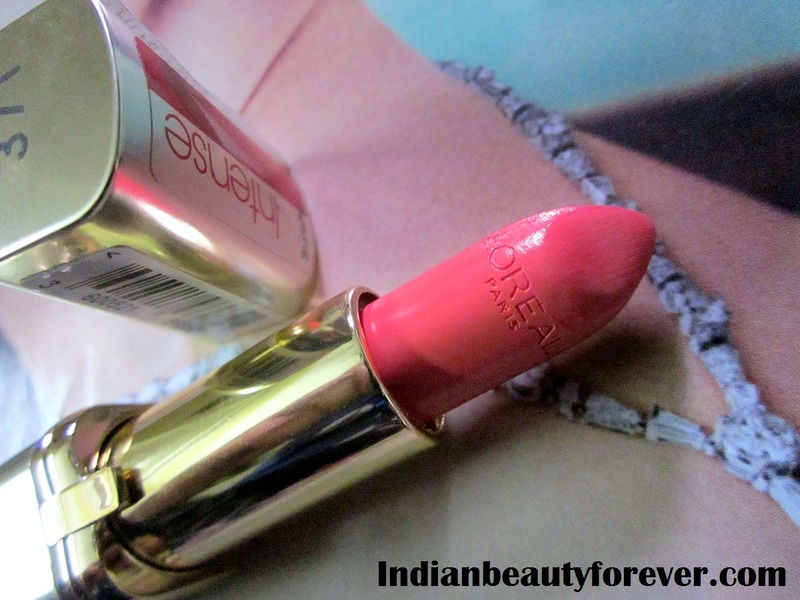 Let's get back to this L’Oreal Paris Color Riche Lipstick in Pink Passion. 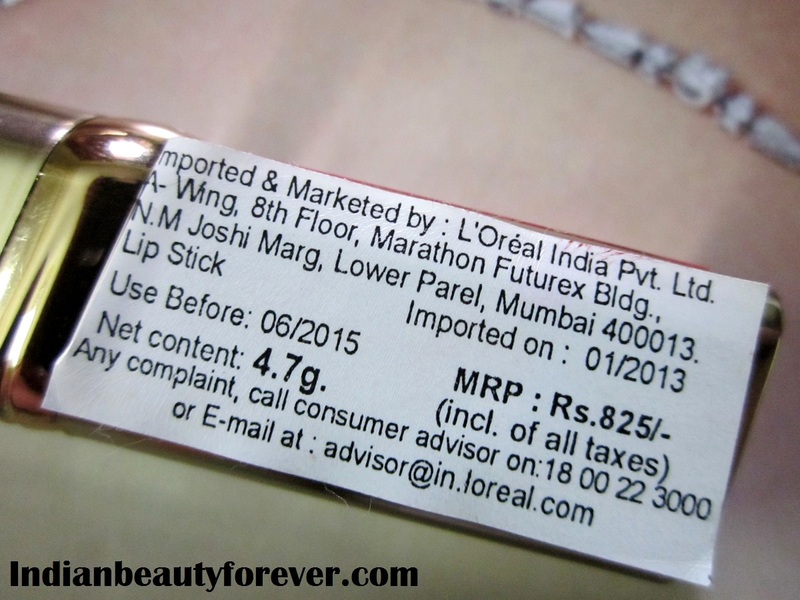 This shade from L’Oreal color Riche Lipsticks costs 825 INR for 4.3 gm of product. It’s a very different colors to that I have used so far. I have always avoided such bright colors as I feel they won’t look good on me but now my likings have changed and in fact I kind of love such bright shades, now. And also have ordered a couple of more bright colors from other brands too and now waiting for them to get delivered! Especially the my NYX order. Anyways! Pink passion is a very bright and bold corally pink color that will instantly brighten up your face! Though I also feel that it will wash out the duskier skin tones. Formula is pretty good and moisturizing creamy matte which isn’t prone to bleed. It a bright color so you will have to make sure that the lips are properly scrubbed else the flakiness can be easily spotted. 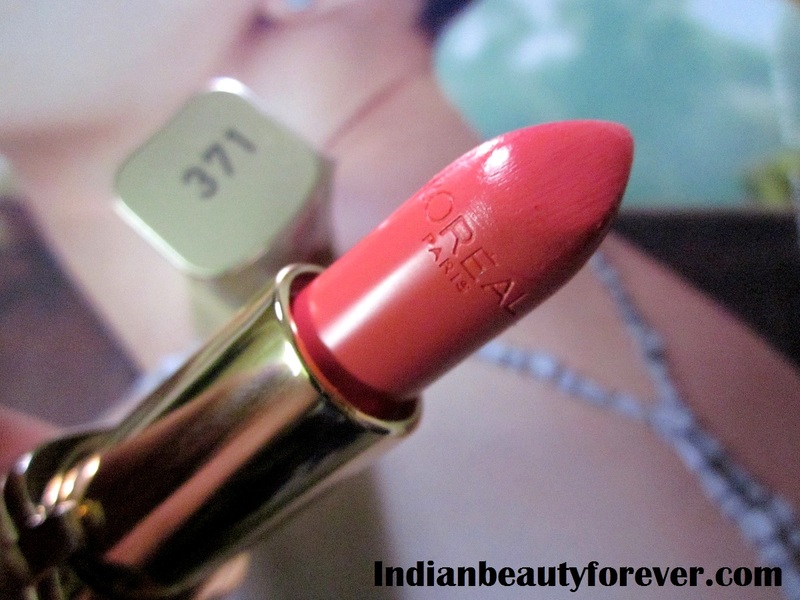 Its creamy to the extent that I feel it gets patchy at times and also pigmentation is a tad more than sheer. If you have pigmented lips, the color is not going to show up well. I like its Rose gold packaging and it looks beautiful. Bullet is sturdy enough and isn’t prone to breakage. No doubt it’s a beautiful color and the formula is great but I still find it a tad expensive for the average staying power! 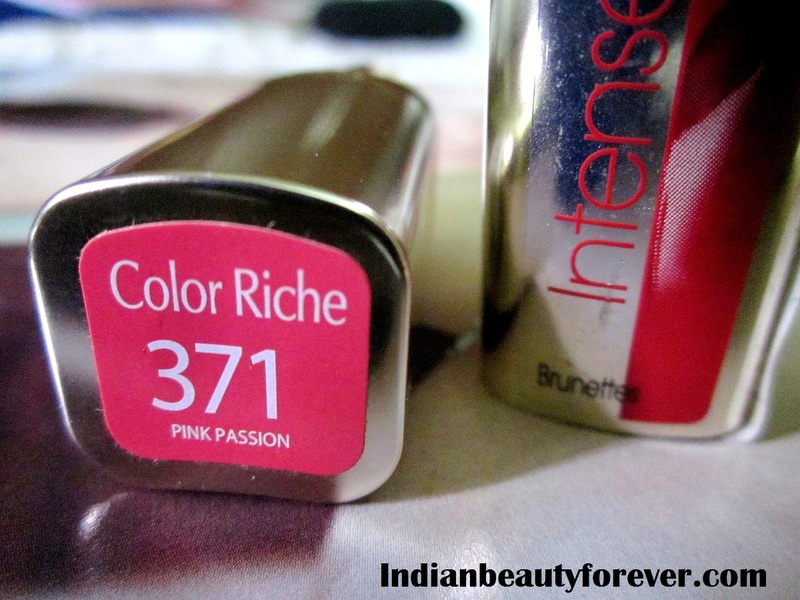 My take: If you liked the color and would like to try this range then you may consider it! Such a gorgeous shade... love it! You are right Tanu . :)It has the potential to wash out the duskier skin tones. Indeed dear.. :) even I think it may wash out some of the skin tones. Its soooo beautiful. Love this colour. Such a pretty shade this is Niesha! the colour is so pretty right?? I put a link there dear. :) will add the pic too now. I like these has they are not drying at all. Just would be nice if they didn't have any taste . That's right dear! They are very creamy and moisturizing! 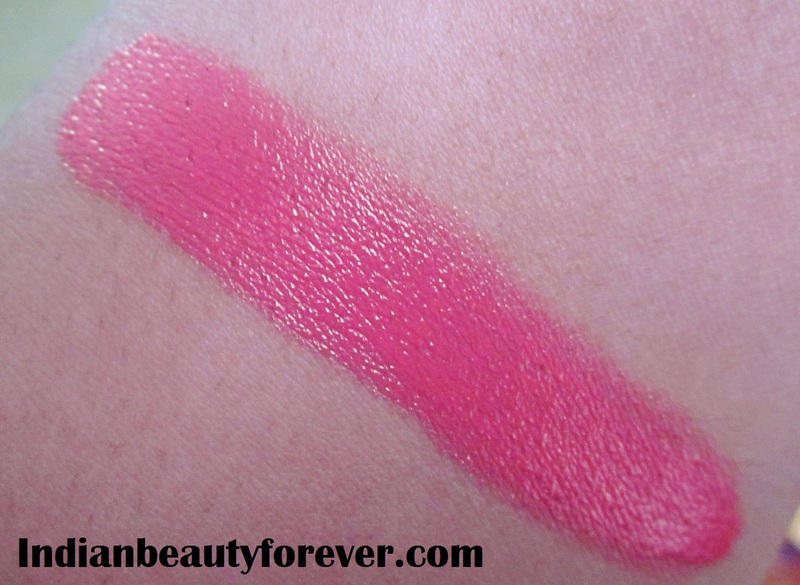 I don't know how many swatches and reviews I have seen, of this lipstick on blogosphere. Everyone seems to love it. Really a striking shade! Price is the only stopping factor for me! But honestly it is expensive for average staying power so, I would suggest to check out this shade in other brands dear!